Let me just start off by saying this is one of the best salads I’ve ever eaten!! I had two big platefuls then the next day I was dreaming about having more. 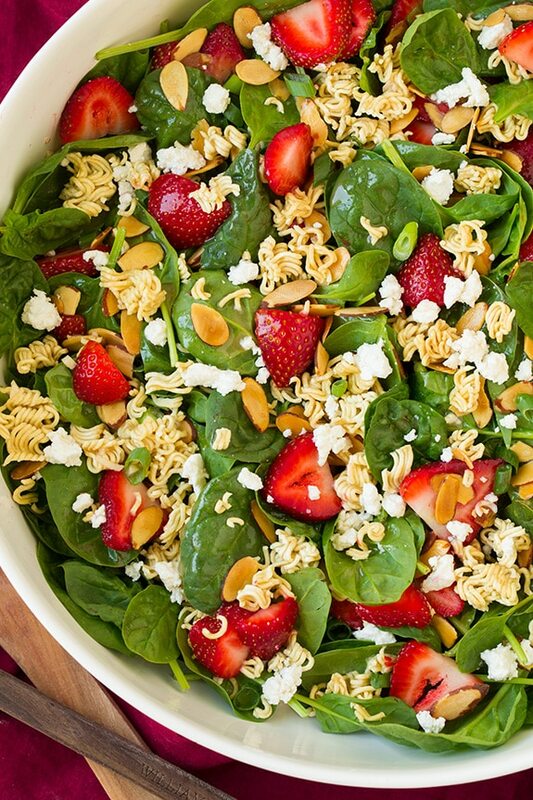 It’s summer so that means make a strawberry spinach salad whenever you get the chance, right? 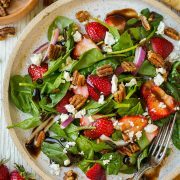 With this salad I wanted to switch up the classic strawberry spinach salad and make a Strawberry CRUNCH Spinach Salad. Everything is better when the word “crunch” is added in. I love ramen in my salads and the major crunch factor they add, it’s makes for such a good use for those cheap ramen packets. And when you toast them up it just makes them that much better. 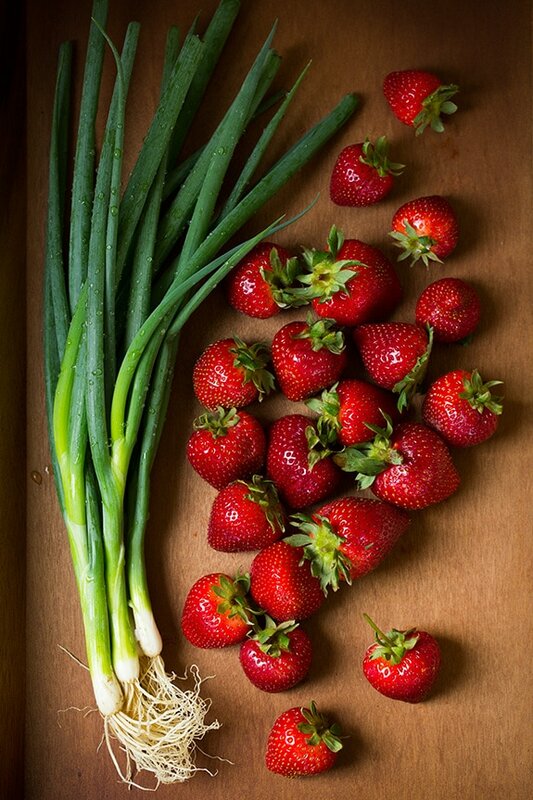 To compliment the fresh strawberries in this salad I added some crumbled goat cheese, toasted almonds and fresh green onions and then to bring it all together I finished it off with a vibrant, sweet and sour, Honey-Red Wine Vinaigrette. 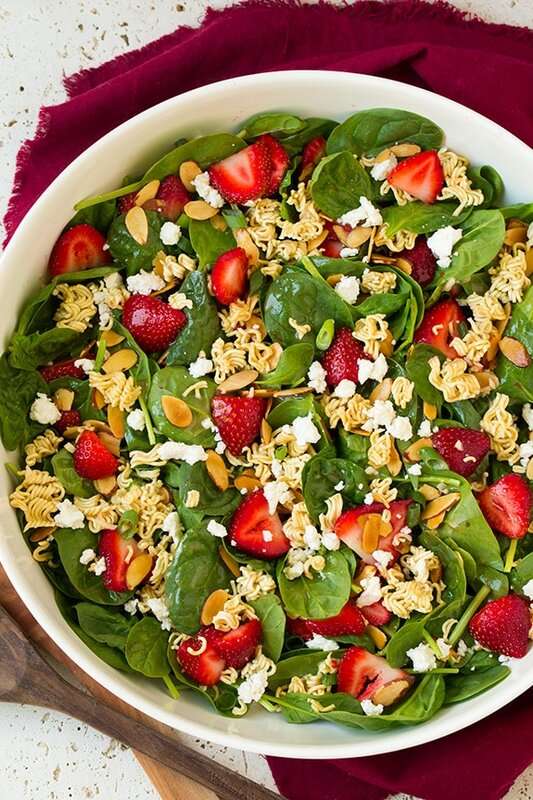 All that together makes this salad 100% delicious and truly irresistible! It will definitely leave you wanting more. I know this will definitely be one of my go to summer salad recipes, I’m already looking forward to making it again. 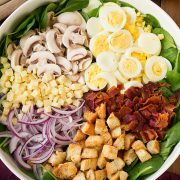 Trust me when I say this is a salad you’ve got to try! 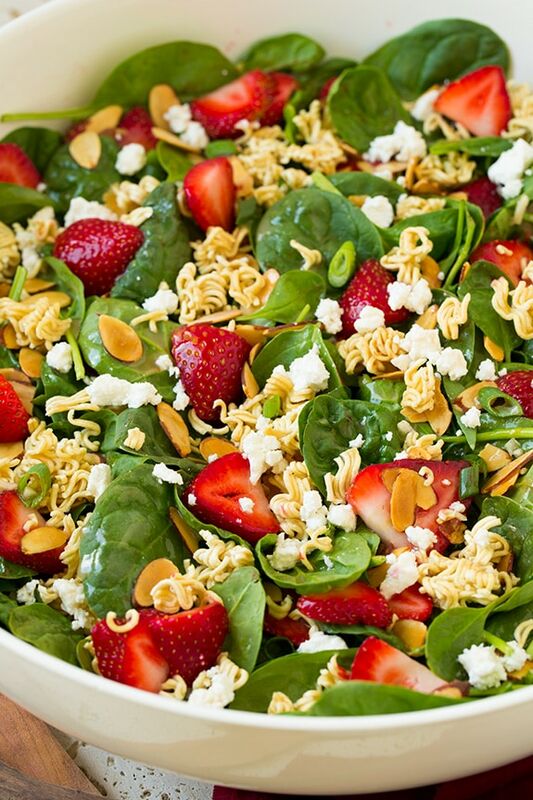 And you need crunchy ramen in your strawberry spinach salads from now on. This is before adding in the dijon, garlic and salt but I loved how pretty this layered vinaigrette looked before blending so I had to snap a pic. 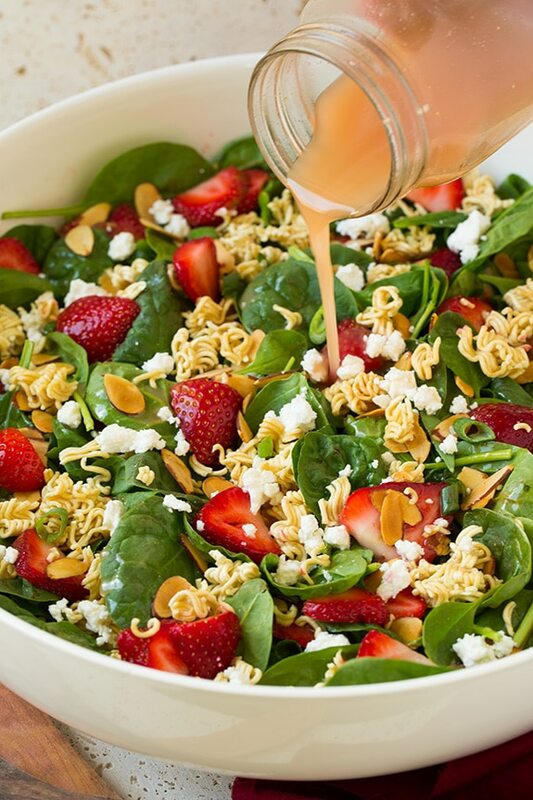 A deliciously fresh and tasty strawberry spinach salad. You'll love this blend of flavors and textures! 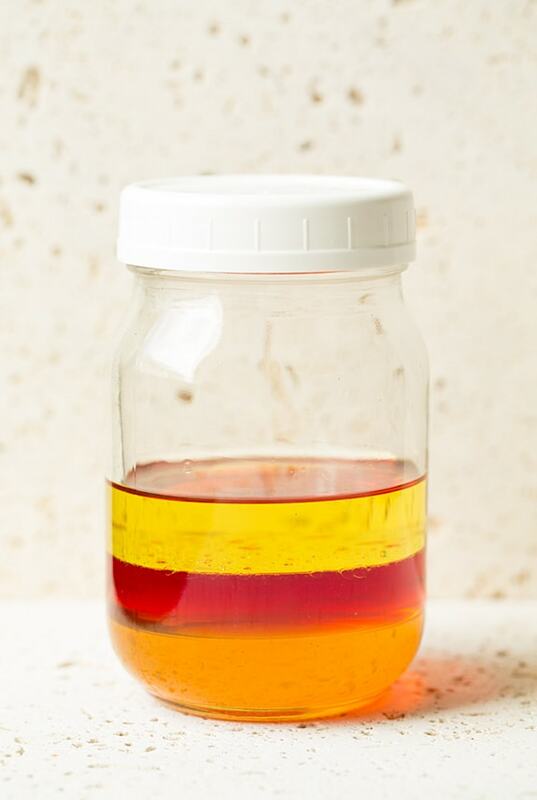 Combine all dressing ingredients in a mason jar. Seal with lid then shake to blend well. 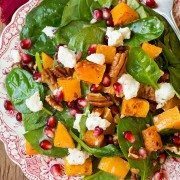 Chill and allow flavors to meld while preparing salad. Preheat oven to 400 degrees. 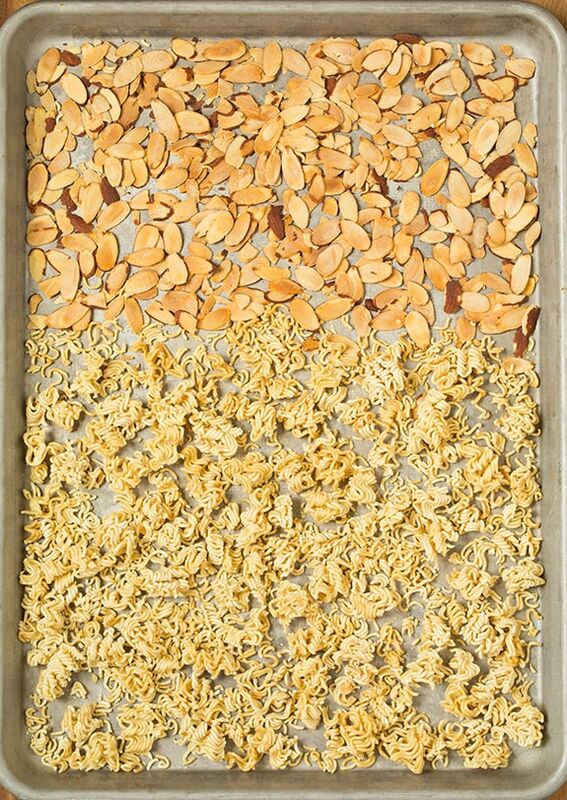 Spread almonds onto one side of a rimmed baking sheet then break ramen into small pieces onto opposite side of baking sheet. Toast in preheated oven until almonds are golden brown, about 5 - 9 minutes, tossing once halfway through (if the almonds start toasting faster then the ramen just pour the almonds into a bowl and continue to toast the ramen until its just lightly golden). Let cool. 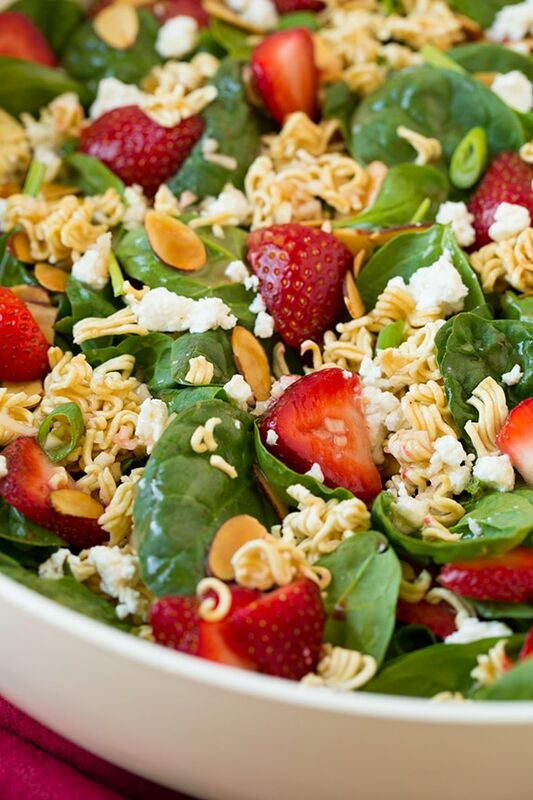 In a salad bowl gently toss together spinach, strawberries, green onions, almonds, and ramen. Add goat cheese and give it another light toss. Pour dressing over top and serve immediately after adding dressing (or plate and add dressing to individual portions).